The best thing about running a transportation business lies in the fact that your success is incredibly skill-dependent. In fields like retail, you have to come up with a way to make money on every purchase and there’s a degree to which you can lower the costs in order to still stay profitable. In transportation, your ability for strategic planning when coming up with itineraries, your ability to make a selection of drivers and your skill to navigate this landscape give you so much maneuverability space. This means that you can use all your skill and prowess to make the most with what you have. Here are several important tech trends your transportation business can definitely use. 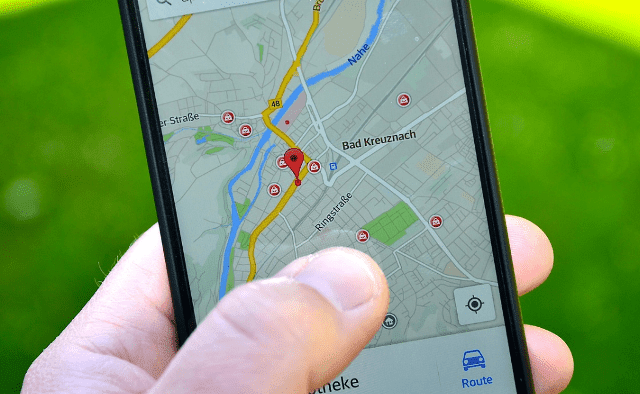 The first thing you need to keep in mind is the fact that Google navigation becomes more sophisticated with each passing hour. The amount of raw data that Google has available is simply staggering. Look at it this way, each driver has a smartphone and the majority of them (the vast majority) have the Google Maps application installed. This gives Google Maps the ability to figure out all the traffic patterns and warn all the drivers about potential and ongoing jams. Needless to say, this will provide you with a system that can help you deal with the unpredictable with much greater efficiency. Another thing you should bear in mind is the fact that there’s a speed limit that always needs to be honored when it comes to the urban commute. Therefore, if your business mostly deals in urban commute, you might want to figure out a way to avoid numerous penalties that your drivers might start collecting. Some companies prefer to track the speed of their vehicles via a monitoring system, yet, this is a reactive method, while a speed lock is a proactive one. It helps you prevent the issue, instead of being restricted to checking diagnostics later on. Naturally, for vehicles that travel on an open road, such a thing might be counterproductive. The most important thing your business needs is proper fleet tracking software. This way, you get to see current whereabouts of all your vehicles, set all the itineraries, alter routes and have a detailed list of all orders and future tasks. Other than just helping you manage your fleet, this platform also gives you a way to do some analytical work and make an estimate on the efficiency of your operations. Finally, it gives you a simple way to make a comparison of the efficiency of drivers in your employ. If you’re careful, this can even help you figure out an ongoing fuel theft by some of your drivers. Most of these platforms have different versions depending on the scale of your operations and the size of your business, which is not something you should underestimate. Dashboard cameras are incredibly inexpensive and they are vital in providing your business with the necessary legal coverage. No matter how much you trust your drivers to be honest about their own driving mistakes and errors, having a dash cam is the only way to have tangible evidence in court. Other than this, we’ve already discussed the issue of speed, yet, speeding is not the only risky driving behavior. Tailgating can be just as dangerous and having a dash cam is the only way for you to notice it. A random checkup of a dash cam recording can help a seasoned fleet manager learn quite a bit about the driving habits of people in their employ. Previously, we’ve mentioned the scenario in which you’re the fleet manager of your own transportation business. However, what about the scenario where your company starts growing and you find yourself in need of other fleet managers? Depending on the system you use, it might take a while to train these new hires and prepare them to become completely proficient in tasks that are expected of them. Keep in mind, nonetheless, that there are a lot of tools that can facilitate this training process, which, overall, makes your job a lot easier. At the end of the day, running a transportation business is a tricky thing, yet, it all comes down to your ability to plan a couple of steps in advance. Like in a game of chess, it’s not enough to know where you can move a piece, you also need to know what to do with the piece after you finally move it. This is far from easy, yet, it’s necessary for those who expect to make it in this industry. I hope you enjoyed this blog post about the most important tech trends for transportation businesses and fleet management.